The 747 is falling out of favor with airlines around the world. 777’s are the most common replacement, but the A380 and the new A350 are also moving into the 747’s space. The newest 747 model, the 747-8, can carry more people with the same amount of fuel. Lufthansa is currently the only passenger operator and they have 10 more seats, 26 more business class seats and 16 fewer coach seats, so much better revenue options. The 747 is still best airplane for advertising. An SPG and Delta cobranded promotion I saw in an aloft lift (yes, that’s what they call it, and that’s part of the brand) used Delta’s 747 to grab attention. It works too. The silhouette of the aircraft is beautiful and I enjoy seeing them every time. I doubt that ad would work nearly as well with a 737, A320, A330, or 777. 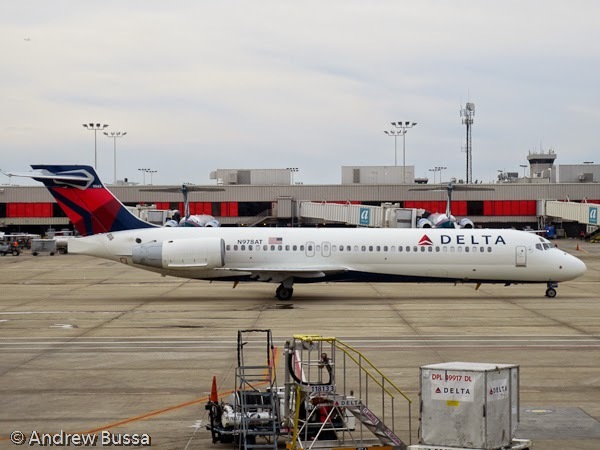 Delta also decided not to use their newly acquired 20 year old 717’s either. The 747 is still the best aircraft for advertising jobs, too bad airlines don’t think it is as well suited to move passengers.